For sale is a 2008 Yeti 575. The fork, RockShox Recon, has about 15 miles on it. The shock, RP23, was refurbished by Fox last summer and also has about 15 miles on it. This is a perfect entry level bike for anyone looking to get into mountain biking. 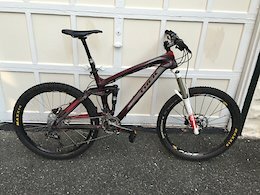 Up for sale is my 2011 Trek Remedy 9.9. Pinkbike did a review on it here, https://www.pinkbike.com/news/trek-remedy-99-2011.html. This bike is an absolute beast and has some of the best parts that money can buy. It retailed for over $8,000. This bike has served me very well for multi-day epics and bombing the bike park. It is incredibly light (about 25 pounds) but can handle 10-foot drops with ease. The boost rear suspension on this bike eliminates chatter and the fork is outrageously stiff. I am 5'11" and the bike fits me well. Upgrades include: 2012 Magura Thor fork Chris King rear hub laced to Mavic 721 Rim Mavic front hub laced to Mavic 721 Rim Easton Haven carbon bars (740 mm) Brand new X9 cassette and chain just installed. X9 Derailleur Reverb dropper post Make no mistake, this bike is used. I have taken photos of the scratches and dings to the bike. All the scratches are cosmetic and the carbon frame is intact. 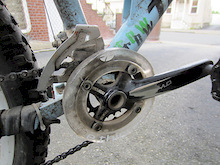 I just installed a new cassette and chain. The tires have about a half season of use on them. If you are interested in the bike and would like additional photos, please let me know. I will ship to the USA and Canada at buyer's expense. If you are local, I can make arrangements for you to see the bike. I will also be at Highland MTB on September 17 and could bring the bike with me to show. There is virtually no footage of the case in action. The whole video is just an ad for shooting action sports with an Iphone. 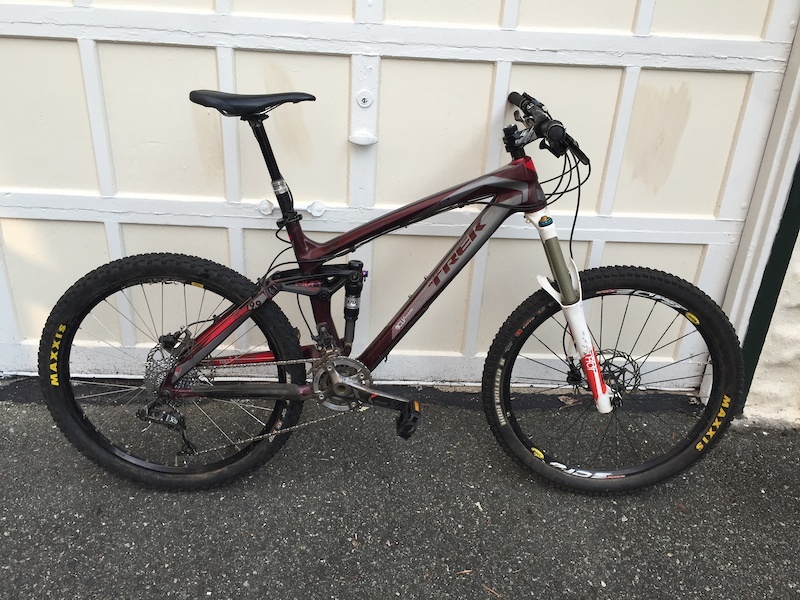 I'm selling my 2008 Transition Covert. It's fairly stock but there have been some key upgrades. The rear shock is a 2009 Fox RP23 and the front fork is a 2010 RockShox Revelation Dual Air with Uturn and it's been pushed. So this fork is bomb. Both the fork and the shock were serviced not two months ago and working beautifully. I've got a Thompson Elite stem on there for added stability over the stock Truvativ. And there is an E-Thirteen clear bash guard. Otherwise it's stock and in great condition. All the scratches you see in the pictures are merely cosmetic and do not affect performance in the least. I'll consider serious offers only and I'm not interested in trades. If you buy it and need it to be shipped, you assume all shipping costs. Let me know if you have any other questions or want to check it out for yourself. 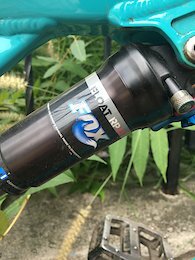 Posted in "Best bike for the BC Bike Race"
This is a 2008 Fox Vanilla 36 R with a 20 mm Maxle and it can be yours for $450, shipped to USA or Canada. 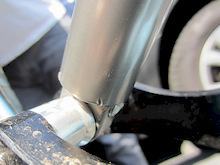 The steerer, which is 1 1/8", is cut to about 8 and 1/2 inches. I'm not exactly sure because measuring it while it's still on the bike is a bit iffy. It is in perfect condition and it has no scratches on the stanctions. The only marks are on the lowers and are purely cosmetic from rocks and getting the bike onto my roof rack. I'm not selling the lower. The fork is for sale though.